Browse our services, get a free quote online now, or call one of our friendly agents to talk through your options and find the best plan for you. While you're at it, Check out some of the articles on the right that other customers have found helpful while planning their move. With My Atlas & Atlas Shipping Tracking tracking your move is as easy as tracking a package with Fedex or UPS. When Registering simply enter the Order Number from you Reads Moving Systems order confirmation. Can't find it? Call us at 1-800-343-3333. Mistakes happen; it's how the mistakes are handled that makes the difference. Reads will make sure that you are a satisfied customer. 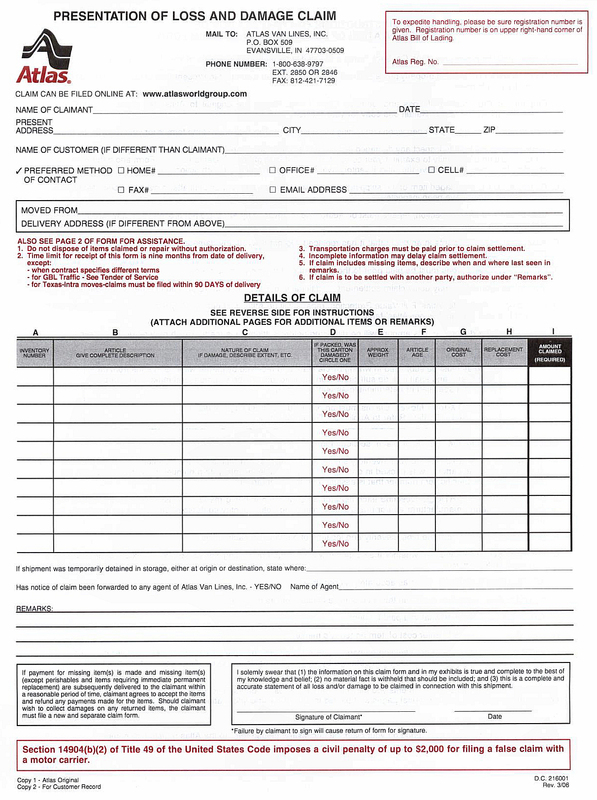 You can download our claims forms here and fax them or mail them back to us. We will process your claim quickly; we begin the process as soon as we receive your completed documentation.